Yet another tragic Isabelle Adjani performance, this time as Adele Hugo, the daughter of poet Victor Hugo. She leaves her home in France to follow her wayward soldier love to Nova Scotia. Set in 1863, Adele/Adjani has some pretty gowns. In French. Kendra has been a fixture in the online costuming world since the late 1990s. Her website, Démodé Couture, is one of the most well-known online resources for historical costumers. 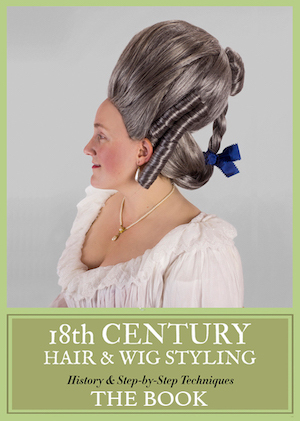 In the summer of 2014, she published a book on 18th-century wig and hair styling. Kendra is a librarian at a university, specializing in history and fashion. She’s also an academic, with several articles on fashion history published in research journals.